As a young boy growing up in Italy, Frank Scaturro dreamed of one day coming to America. Life in the small town of Santa Margherita di Belice in Sicily was not always easy and Frank worked in the family business as a sheep herder and cheese maker. He worked diligently for years and in 1963 left Sicily to come to America. Frank came to New York City and worked in construction at night and as a pizza man by day. His dream of becoming an entrepreneur drove him during this period and he soon opened his first shop called Frank's Pizzeria at 146 Jamaica Ave. in Queens, NY. While in New York, Frank met his wife Anna. They were married and he opened another shop, Anna's Pizzeria at 86 St & Jamaica Ave in Queens. After some thought Frank determined there would be more advantages to opening a pizzeria outside of the city and moved to South Jersey. While in South Jersey, Frank Scaturro finally realized his dream and established the well-known Famous & Original King of Pizza. The King of Pizza has become a landmark in the South Jersey landscape and has been operating for over 40 years. In the beginning the King of Pizza served only pizza and beverages. Consistent quality and delicious food kept customers coming back. Working 18 hours a day for 27 years straight was the secret behind Frank's success. As time went on, his son Mario realized that to keep the consistent quality that their customers had come to expect they would need to start their own food distributorship to ensure the quality of their products. Turro Foods was born and became a part of the Scaturro business family. 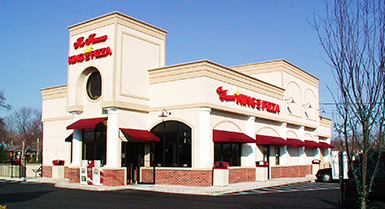 A setback struck in March 2004 as a fire destroyed the original King of Pizza building. However, in this case the family saw an opportunity in this situation and construction was started quickly on a new King of Pizza. The shop re-opened on October 18th, 2004. A variety of new offerings were added to the menu including sandwiches, salads, hoagies and wings. 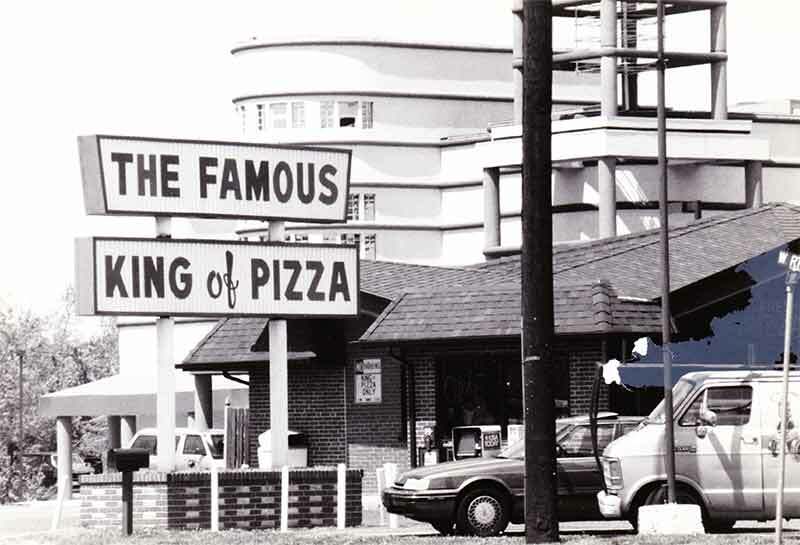 One structure remained after the fire and still stands today - the King of Pizza road sign. 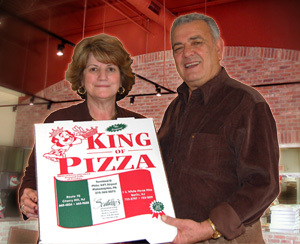 The King of Pizza is currently run by Frank's children; Mario Scaturro, Anthony Scaturro and Roseanna Scaturro. The Cherry Hill shop is open 7 days a week. The Scaturro family also owns and operates several other restaurants. Including 2 additional King of Pizzas - one located in Berlin, NJ and another in Terminal D at the Philadelphia International Airport and Scaturro's Italian Restaurant Bar and Grill located in Marlton, NJ. To achieve the American Dream - the family recommends that you follow their father's path. Hard work, perseverance and time can make any dream a reality.